The best community trekking route, trek for your satisfaction and healthy, Lalibela-Simien trekking route in Ethiopia is the best area to trek through. You will discovered the sacred built up church objects and ancient wall paintings as well, trekking in the roof of Africa in a fascinating land scape of Simien national park . 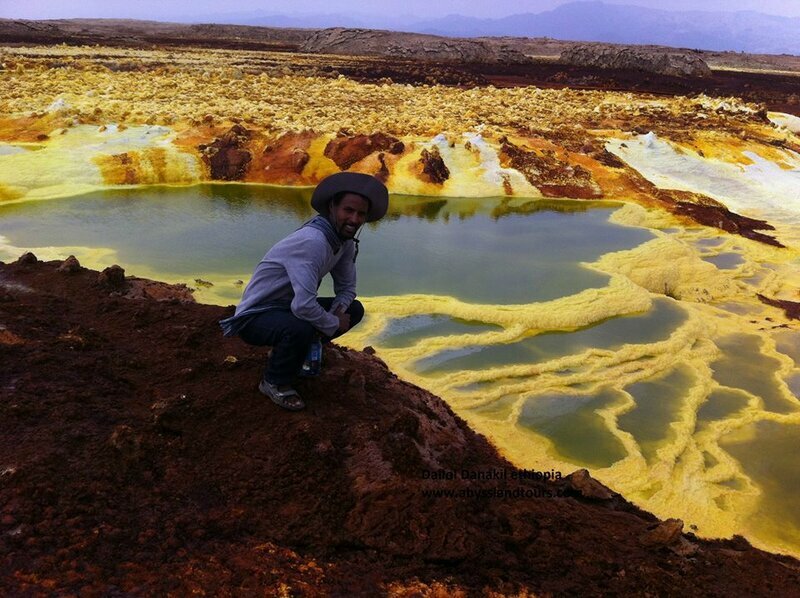 Check your altitude limitation you will be facing an altitude range between 2200 m up to 4100 m.
Arrive in Addis Abeba, welcomed by one of our professional guide and transfer to your hotel. 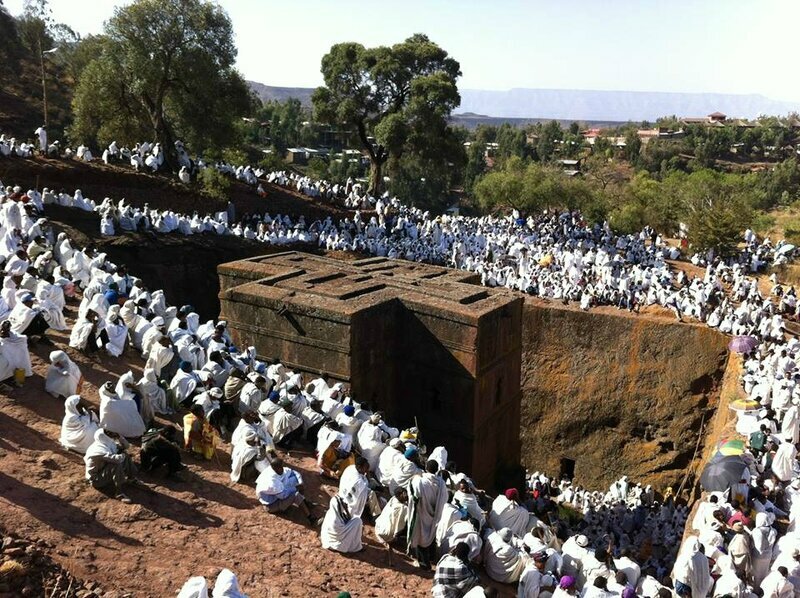 Fly to Lalibela, then visit sacred city of Lalibela, the home of fascinating rock hew churches dated back to 12th century A.D, they have been classified as a UNESCO World Heritage Site. Probably, it will be one of the 8th wonder of the world next to the table mountain of cape-town in South Africa. This day, you will climb up till 3300 m on the way to visit Asheton Mariyam rock hewn churches. You will walk on the plane and high plateau, on the way visit the traditional house in a village called Doksa. You have the chance to participate in the community activities. From Doksa Hamusit, till abuneyosfe then back to Doksa Hamusit. This day, you will cross the national park of abuneyesf home of endemic mammals, like Ethiopia wolf or red fox, then you will walk dawn till the highest cave church in Africa, abuneyesf cave church, to reach there you will admire the fascinating land scape of the day. Walk all the way gentil dawn walk, crossing the cultivated land of last high lands, then a stopover in a village to assist coffee ceremonies. From Muwukwuha to Genet Mariyam, then drive to Lalibela. In this day of trekking you will visit the monastery of Emekina Mariyan and Emekina Medihanialw, date back to 6th century which is rarely visited by tourists, where you can see the churches of sacred object and ancient wall paintings. Morning, drive to Gondar. Then visit the medieval city of Gondar with its complex castle date back to 17th century classified as a UNESCO World Heritage Site in 1979. Morning, visit the most attractive church of Debrebirhan Selasie in Gondar. Then drive to Simien park then trek from Buhait ras up toSsankaber. Morning, short trek around the camp site then drive from Chenek to Gondar. Morning, drive to Bahar Dar, on the way to visit the Awaraamba village. Afternoon, visit the Blue Nile falls. Full day, excursion by boat to discover the hidden treasure of the island of monasteries of lake Tana . 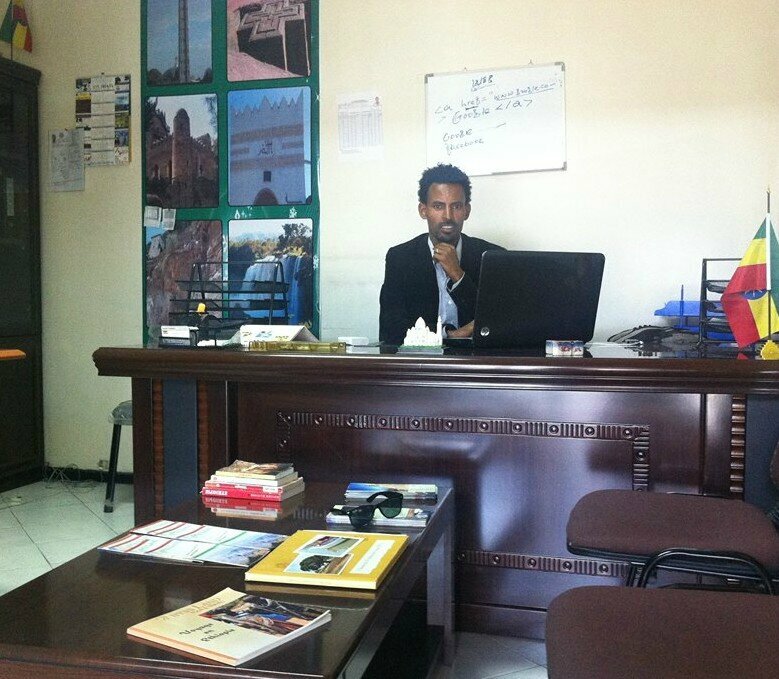 Morning, fly back to Addis Abeba, shopping, then back home.